New year, new movies. This year has started similarly to all the recent previous ones: the first award-winning films of the previous year keep expanding in theaters, and the studios start to drop the films that they either think are gonna bomb (“Serenity”) or just don’t find a right time to release it. Then VOD keeps giving us small indies and genre films that usually premiered at festivals a year or so ago. And then, later on we may finally get at least one of those pre-fall prestige pictures, some studio horrors, and of course, superhero films. The year 2019 started off just fine, and with these 10 films listed below, we are off to a promising start. Here are the 10 films that have stood out this year so far. Stephen Merchant’s charmingly odd “Fighting with My Family” was one of the pleasant surprises of the year, even though it relied heavily on Dwayne Johnson’s appearance in the film for marketing. It doesn’t matter whether you know who Paige is; it doesn’t matter, if even you don’t like wrestling. You’ll find yourself engaged by the storyline. Sure, it’s not a groundbreaking film or anything revolutionary, but then again, Merchant delivers on its emotional and comedic beats that are good enough to where its formulaic narrative can be forgiven. The film is full of energy that never bores its audience. Florence Pugh also shows once again that she’s one of the finest actresses around, and probably has even more to offer in the future. The film has just the right tone and right way of narrating the events; it shows off the wrestling incredibly well and all the challenges she had to go through in an appropriate manner. The title is certainly misleading. No, it really is about the man who killed both Hitler and the Bigfoot (which is kind of a spoiler, but that’s not the point), but due to its title and maybe its poster, some audiences probably expected some kind of gonzo action film with over-the-top violent sequences and a lots of humour. Well, that’s where the twist lies and that’s where the surprise comes from. This strange film is none of it and that’s what makes it unique, because it actually takes a kind of wild premise and treats it with full seriousness, adding a lot of dramatic depth. Basically, it’s a character study. As for its story, it’s not exactly complex, and since the film is set half in past, half in present time, some audience members may find it hard to get involved in any of them. That said, it’s still worth watching for the reasons stated above: it’s a unique film, and it actually takes the risk of creating a character study out of a story like this. The cinematography is impressive for a film like this and there are gorgeous shots to be found here and there. 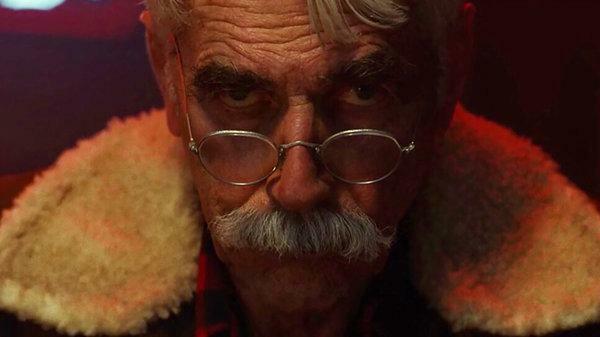 Sam Elliott is on a roll recently with meaty roles back to back. No wonder the industry felt it the right time to give him (finally) his first Oscar nomination this year. Here, he gives yet another powerful performance; there’s one moment where he finally confesses to to Hitler’s killer, and he’s so good that you actually become convinced that he really did it. The novel is arguably one of Stephen King’s darkest works. It was previously adapted to film in 1989, but it kind of sucked, even if it was also somewhat entertaining. The fans of the novel looked for the chilling atmosphere of the novel, but couldn’t find it; some not-so-good directorial choices and a terrible lead performance were among many reasons why it didn’t work. The 2019 version has its underwhelming sides: it’s also short on tension and creepy atmosphere, and it feels as it if it’s rushed and that they didn’t work on many aspects in general. The first half of the film even struggles to keep its audiences engaged, but this film has a better idea for the ending. It divided fans pre-release as they thought the new change would likely gonna ruin what made the novel so creepy, but it actually works. 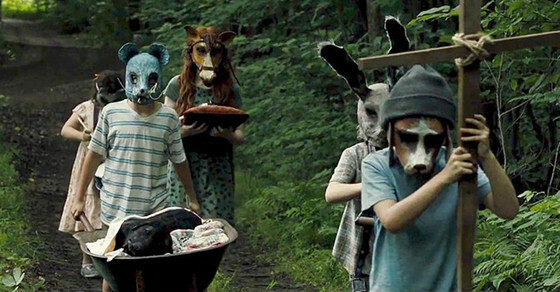 An extra effort from the directors would make it a much better experience, but still, the last 30 minutes succeed somehow because of its disturbing nature and great acting (props to Jete Laurence for pulling off both being a cute and creepy child at the same time). One would argue that Jud was a better developed character in the original film, but it’s always a joy to watch John Lithgow. In the end, “Pet Sematary” is still bit of a missed opportunity, but it’s still an entertaining and a better-made film compared to the 1989 version. Two friends, both single, and they sure have a great time with each other. Suddenly, one of them is diagnosed with terminal cancer. Only one possible “cure” is prescribed – a medicine that causes a quick and painless death. And then we observe how it affected their friends. This diagnosis turns out to be a spiritual journey for both. And as terrible it is for the first to die, it is also terrible for the second one to lose one their friend. They mean the whole world to each other; they find joy in their joint activities. It’s a kind of friendship/buddy story we don’t get so often these days and it’s such a shame that Netflix doesn’t do enough promotion for films like this. 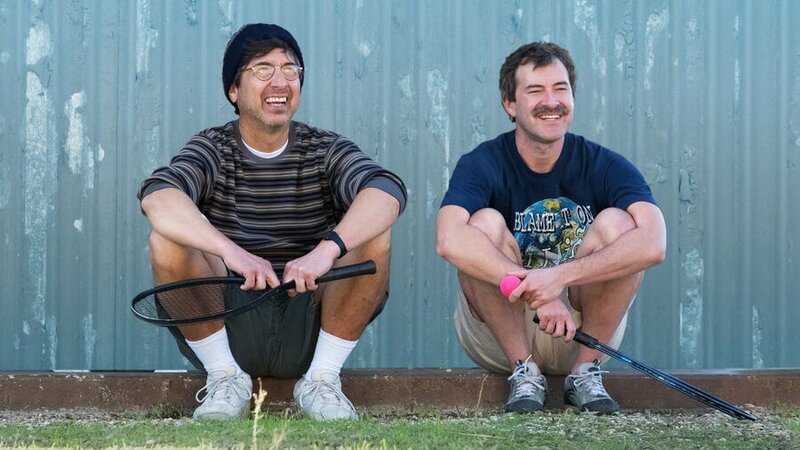 Another great Duplass feature, though “Blue Jay” was also overlooked for the similar reasons. Here, the star is really more Ray Romano than Duplass, though. Romano is on a roll recently; his great work in “The Big Sick” also got overlooked, but this may be his best movie role yet. He and Mark Duplass brings so much sincerity to this heavy subject matter. It’s a beautiful, deep and affecting movie. Something sure to break your heart. It sure is an experience; for some it’ll be a tiresome and maybe exhausting film to watch, but even they have to admit that there’s something so compelling about the whole feature. What makes this film so tolerable, despite all the events going on here, is Elisabeth Moss’ incredible performance. Once you go with it, it will be one hell of a ride. This is the kind of a film that will often make you feel uncomfortable as you watch our lead character go through an emotional journey. She’s a self-destructive punk rocker who struggles with sobriety while trying to find a creative balance for her band, dealing with people in her personal life, and also trying to be a mother under the searing spotlight. The film is about ego, addiction, mental health, creativity, and so much more. 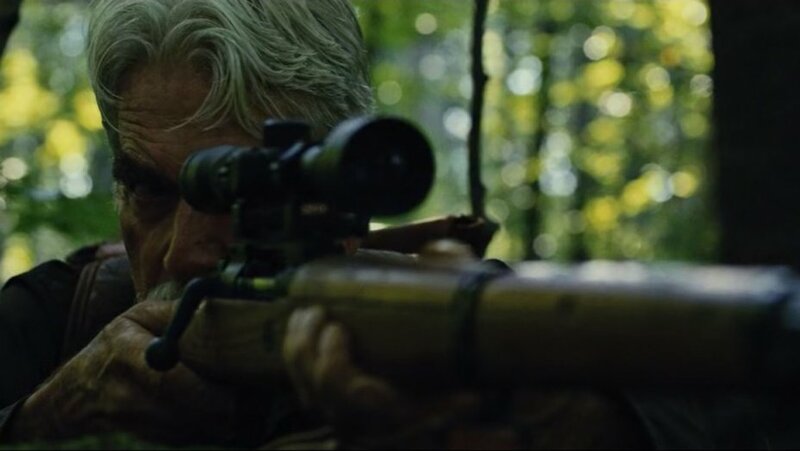 The film does it with an interesting experimental style that would not necessarily appeal to anyone, but then again, even those who have trouble getting into the film due its structure will still find themselves blown away by Moss’ incredible performance. The cast is full of well-known names such as Dan Stevens, Amber Heard, Virginia Madsen, Eric Stoltz, and so on, and they all are well cast, but the show belongs to Moss. In one scene, she just sits down at a piano and sings Bryan Adams’ classic “Heaven,” and watching the whole scene is something else.